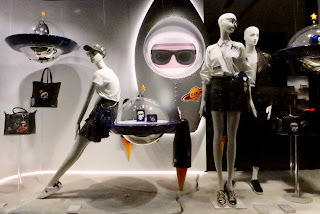 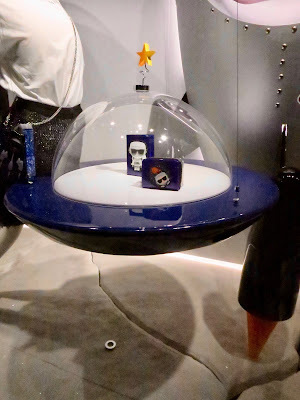 Amazing flying saucers and a rocket are the key elements to this scheme at Lagerfeld. 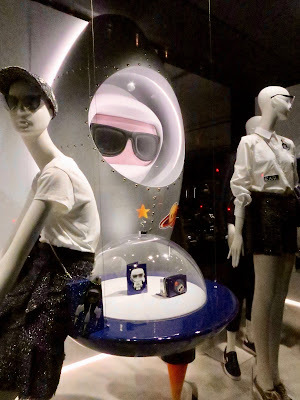 You might remember that we included Hogan last week who have adopted a similar theme but we will just have to wait to see if any other brands pick up this strand in their windows. 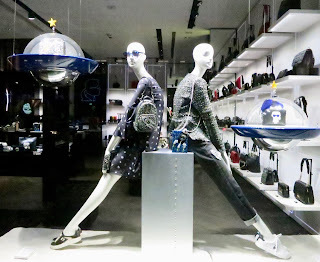 In the meantime, a great quality scheme which of course also features Bonaveri's gorgeous Aloof mannequin.